My friend Bob commented on Facebook that he thought that charred pig I posted here on Sunday looked like a Montauk monster. I don’t get out much and had to look in Google to see what he was talking about. 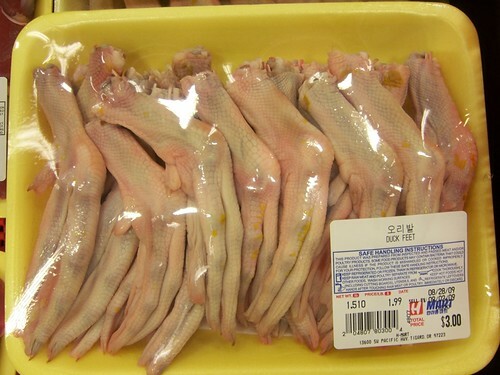 Pretty disgusting, huh? That’s the same word I’d use to describe some of the delicacies we saw last night at H-Mart, a huge Asian market. Have you ever been to one? It’s like visiting a foreign country. We were on a mission to buy some ingredients to make John and Erin’s massaman curry, a recipe they learned in a cooking class in Thailand. I confess that having this in my cabinet makes me a little, um, uneasy. It isn’t as though fish sauce is made from fish any more than steak sauce is made from steak. But still. At least we didn’t buy these. or even something more normal like this. One of Mauri’s “two stories” describes looking through the oven window when he was eye level (a long time ago) and seeing what his mom was fixing for dinner. 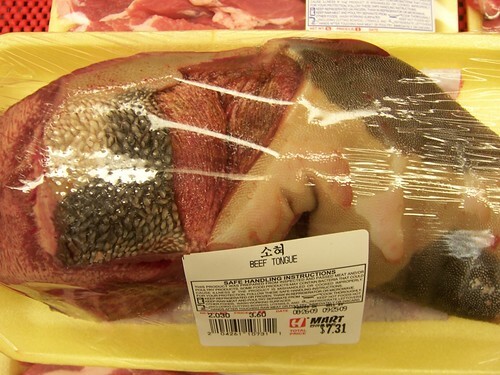 Beef tongue. Mmmm. I took one other picture that was blurry. You can be grateful. 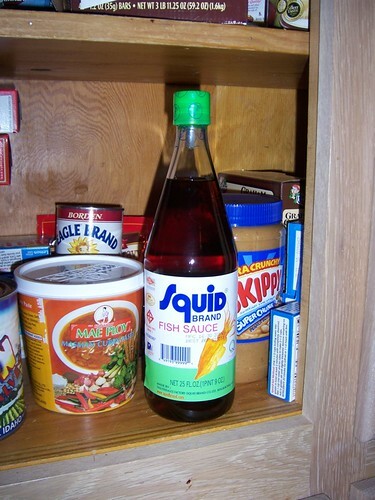 Ahhhh….fish sauce….smells soooo bad and tastes soooo good! Thank you for giving me yet another reason to be happy that I don’t eat meat. 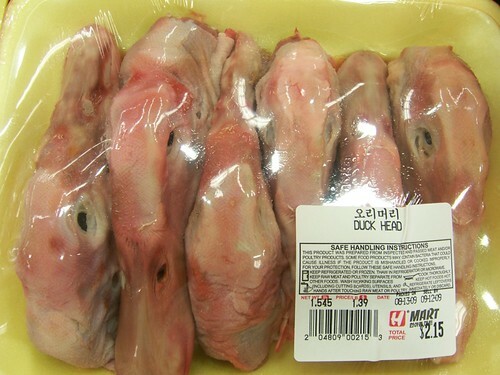 Seems like a good deal on the duck heads, but the feet seemed a little pricey.